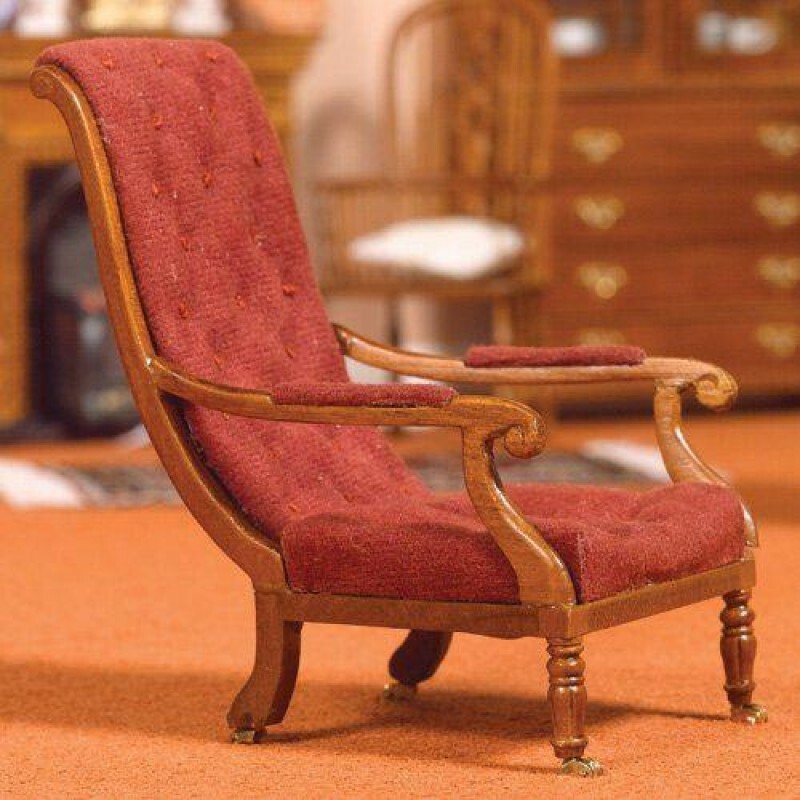 William IV library chair with buttoned back fabric. This item has a walnut finish. Actual fabric colour is purple not burgundy as shown in the image.